Well, I'm prepared to call it: I don't think there will be any further relaxation to the Reserve Bank's lending restrictions this year. The central bank you may recall loosened the restrictions a little from the start of this year. It meant that investors had to find deposits of 35% (from 40%), while banks were allowed to put up to 15% of new lending (previously a maximum of 10%) into high loan-to-value mortgages (above 80% of the value of the property). Earlier this year the RBNZ made clear it was in no particular hurry to further relax the rules, saying that there would be no chance of this occurring before the central bank's next Financial Stability Report release set for November 28. I thought for sure that there would be further relaxation in the rules, so, it's with a sense of surprise I now feel that not only will the rules not be further relaxed, there's actually even some possibility that next time they are adjusted the rules may even be tightened again. Well, the fact is that mortgage lending patterns have been far more resilient than might have been expected this year. The monthly lending by borrower type figures compiled by the RBNZ have shown that since the start of this year there's been a perceptible (if hardly rapid) recovery in the share of the mortgage market taken by investors (from around 21% to around 24%), while first home buyers have been featuring increasingly significantly in the overall figures. In recent months the FHB grouping has been enjoying its biggest share of the overall mortgage market since the RBNZ started publishing the detailed lending by borrower type figures in 2014. So, the RBNZ will have clearly noted these recent trends. Other key figures for the RBNZ to follow closely are the sector credit figures. The figures for July, which came out at the end of last week, showed an annualised growth rate for outstanding mortgages outstanding (that's to both banks and non-banking institutions) of 6%. That's not an astronomical figure by any stretch. But it is up. And I would hazard a guess that most bank economists may well have not picked that to happen. In fact, the annualised growth rate in outstanding mortgages, having steadily dropped from 9.3% at the end of 2016 to 5.8% at the start of 2018 has been either holding level this year or edging back up again. With the Spring housing market nearly upon us, it might not now be too surprising at all to see that figure edging higher still. I guess you can't specifically say it's the relaxation of the LVR rules that has led to the increased lending - but there's no question that the various mortgage lending indicators have all blipped up since the start of this year and that does coincide with the relaxation of the rules. The RBNZ's not likely to come out and cite a particular level of lending it is comfortable with. My suspicion though would be that it might not be so comfortable with the way the growth rates have just flicked back up a little. Remember, at the time the first iteration of the LVR restrictions was introduced in October 2013 the annualised growth in mortgage lending was actually at 5.9%, having recently risen quite swiftly. It subsequently dipped back down to 4.5% a year after the LVRs had taken effect - though remember also, that this period did coincide with series of interest rate hikes by the RBNZ. Subsequently the rate of lending growth took off again before being very much arrested by the 40% deposit rule clapped on investors from mid-2016. There's definitely a lot of food for thought for the RBNZ as it ponders whether any tweaks are needed to the LVR rules. I think another significant factor this year is that the squeeze we saw last year on banks' funding - with at times very little deposit growth achieved - has very much abated. 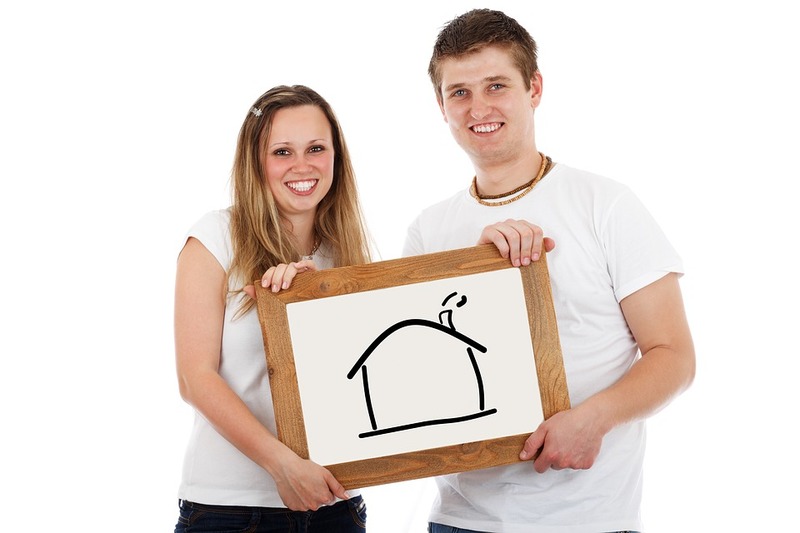 Latest figures show deposits growing strongly. What this means theoretically is that banks may have more available to lend - and when they've got money to lend, they compete to attract borrowers. Now, of course, the LVR restrictions do hold the banks back. But as I commented recently, the upcoming KiwiBuild programme may offer an interesting (and I'm not sure if it was foreseen) test of the effectiveness of the LVR restrictions. KiwiBuild loans of course will fall outside the LVR rules because of the new builds exemption - which will apply to them. So, the banks are likely to compete strongly for this business, since they can undertake it without worrying whether they will bust the 15% 'speed limit' for high LVR lending. All of which means the RBNZ has a bit to think about. And this, of course, in an environment where the RBNZ has itself recently affirmed that interest rates will stay lower for longer. The markets are now about 50-50 on the chance in fact of a drop in the benchmark interest rate, the Official Cash Rate. So, in a normal world, this is all very stimulatory for new lending and the housing market. Let's see what happens with this Spring's house market. If it's as unexpectedly buoyant as I now think it might be, then just maybe rather than further loosen the LVR restrictions, the RBNZ might instead have to even consider tightening them again. That's definitely a speculative suggestion at this point, but the RBNZ won't want to run the risk of levels of household indebtedness getting greater than they already are - not if the business confidence surveys are correct, and we really are on the cusp of an economic slowdown. People with mortgages losing their jobs is exactly the sort of 'financial stability' risk the LVR measures were designed to mitigate against in the first place. Buoyant? Last year Auckland sold 28% fewer houses than in 2013. In 2017, again, it sold under 22,000, compared to 42,000 in 2003. 85% (your site figs) of median earners under 30 cannot afford anything in Auckland. By the way, when next RE NZ is blowing the "its all good" trumpet re listings, it would make a change to have a breakdown of WHAT is listed?? ie how much of new listing is apartment blocks coming on stream and how much is HOUSES that are finished and been lived in previously cf sections. Sections take an age to sell. While we are at it, perhaps someone could explain why much of what is listed on RE NZ has been there (not sections) for over 4 months when we keep being told by REINZ that OTM average is 41 days in Auckland. Lots of sections in Rodney for instance, have been listed (does this mean OTM??) for 18 months. Lack of itemisation in stats and terms (like the ubiquitous and meaningless "affordable") in housing debate is infuriating. meanwhile we have to wit for 2013 figs re census to be updated which won't start dribbling out til March 2019. Isn't the post says about mortgage lending $$s and you talking about number of sales ? Both are relevant.. More mortgage $ and less sales = people in hock up to the eyeballs. The 'hoodwinking' of First home buyers continues and the MSM remains complicit in the falsehood. 2. A $350,000 interest only loan over 25 years at 5% interest = $1458 per calendar month. By the way, a bit of factual breakdown for readers: RE NZ for Rodney: 949 houses or townhouses, 665 sections. In addition to this, around 27% of what is listed under "houses and townhouses"does not have a building on it!! Ratio of houses and townhouses listed to sections is hence currently 69%. A few weeks ago it was 63%, so patently sections are stuck. Sales have been falling or static virtually all over Auckland for 7 months. Exception are sections in Maire Road, Orewa, and apartments in Auckland plus anything priced under $750,000 mostly in Waitakere and Manakau. north Shore sales fall every quarter and no surprise as its prices are not falling. By the way, mortgages are rising slightly because interest rates (wholesale) have fallen recently. More of mortgage market is being taken by non-bank lenders to FHB - ie the dodgy bits that ballooned in 2005-7. This is not a healtthy sign. Actually its all great in New Zealand but your view is only a reflection of how well your financially well off. It doesn't matter what country in the world you are in, there are people very happy with life. I think the secret is picking when its all going to hit the fan for the "Average Joe". I'm still not getting good vibes from the market so its hibernation time in an underground bunker.